Developing Visual Motor Integrationis an erasable, reusable, laminated workbook designed to systematically develop perceptual and motor skills needed for writing, copying and graphomotor proficiency. This series of five graduated levels is ideal for therapists and teachers working with children of all ages and developmental levels and is a great tool for group activities as well as classroom and individualized lessons. These eco-friendly reusable workbooks are designed for error-free learning; offer positive feedback and reinforcement keeping the child motivated while developing visual spatial perception, directional concepts, eye-hand coordination, problem solving, motor planning, perceptual organization and fine motor skills. In looking at the issues surrounding children and their behavior, authors Carolyn Murray-Slutsky and Betty Paris emphasize that behaviors result from multiple causes and cannot be addressed in a linear fashion with any one single strategy. Behavioral concerns arise when children’s behaviors are bothersome, interfere with their ability to learn or function, or are harmful. Some children act as they do because of their bodies’ reactions to sensory input. Inattention, distractibility, fidgeting, acting without thinking, and aggressive or defiant behaviors such as pushing or striking out all may have a sensory cause. Clinicians, teachers, and parents will find this a useful resource for unraveling the mysteries of why children adopt certain behaviors and learning how to deal with them. In addition to the in-depth descriptions of behavioral analysis and sensory dysfunction, the authors include chapters on temper tantrums, environmental modifications, and sensory diets. Extensive charts, tables, and photos help illustrate the concepts discussed, and a number of reproducible forms and checklists are included. Holistic, focused, outcome-driven approach utilizing treatment strategies and frameworks to help children reach their maximum potential across all environments. These quick, concise reference guides are indispensable for therapists, teachers, and parents. These laminated cards provide Positive Behavioral Strategies to develop and reinforce the desired behaviors. The Sensory Modulation Cards describe the characteristics of each type of modulation disorder, making it easier to identify the child with modulation difficulties. They provide concrete, positive and easy to implement activities that are proven to address the underlying sensory behavior. Secondary behaviors and their relationship to sensory behaviors are also explained with constructive strategies offered. Mount them in an easily accessible spot to reference them as you need. Colorful, two-sided, laminated and durable, they are full of practical and useful information. A new program that helps children achieve their goals fast through a technique that uses principles of neuroplasticity, positive suggestions, hypnotherapy and research on the sleep process. Get Stronger! Have More Fun! An exercise book for kids. 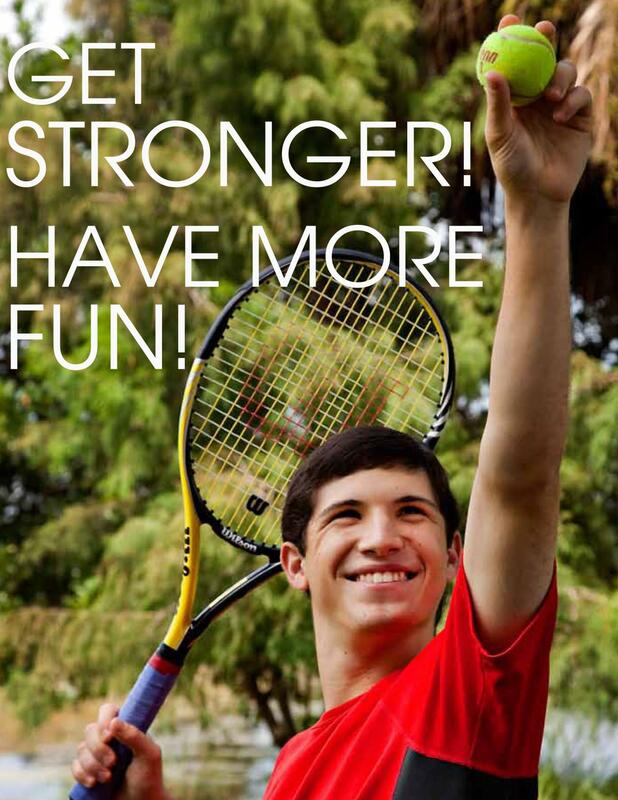 Challenging exercises designed so that kids of all levels of ability can perform them. Forty-eight pages with colored pictures, directions & rankings. Follow up to the original Get Strong! Have Fun! by Alexander Fields-Lefkovic A portion of the proceeds donated to charity. Edited by Carolyn Murray-Slutsky, MS OTR & Betty Paris, PT, M.Ed. "This developed as my Bar Mitzvah project out of respect and appreciation for all that the field of Occupational Therapy has done for me. I wanted to create something useful and fun for children that would benefit children with sensory issues. I worked with Carolyn Murray-Slutsky and Betty Paris to design fun activities for children of all levels of ability. I developed the rating scales to motivate children to perform." Autism Interventions: Exploring the Spectrum of Autism, second edition. It is an easy-to-read compilation of treatment strategies, research and evidence. There is nothing on the market that comes close to the information within! 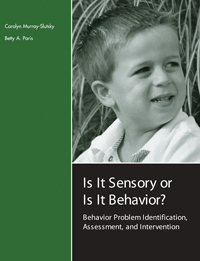 This is book serves the needs of many different groups: a clinical reference for teachers, therapists and anyone working with individuals with Autism Spectrum Disorder; a supplementary text for those in occupational, physical and speech therapy programs; behavioral intervention; and psychology majors; and guidance for parents and loved ones raising a child with ASD. The seventeen chapters are authored by world leaders in the fields of occupational therapy, research, behavioral specialists, speech language pathologists, physical therapy and educational specialists.